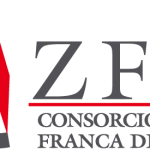 The winner of the Galician Community Challenge will be offered a complete 12-month incubation programme at one of the local business initiative centres managed by ZFV. The winner will receive start-up assistance to develop an early stage company, access to seed capital, training through a mentoring network, infrastructural support, and intensive consulting. The objective is to accompany the entrepreneur through the maturation, financing, and implementation of the winning project. If the project progresses according to plan, it will participate in the annual Round of Investors at the business accelerator Viavigo, which is promoted by the Consortium and the Xunta de Galicia. The prize also includes travel and accommodation for the 2018 Galileo Masters Awards Ceremony in Marseille, France on 4 December 2018. Furthermore, the winner will be eiligible to access tailored E-GNSS Accelerator business support worth EUR 62,000 (see details). GNSS: a key enabler to foster Galicia's intelligent and sustainable growth and to tackle societal challenges. Though it is part of mainland Spain, Galicia is an autonomous community with a cultural heritage, climate, and geography that are distinct from the rest of the country. 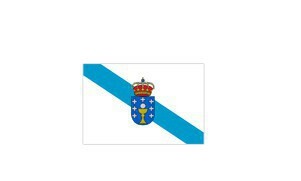 Meanwhile, the close similarity between Galician and Portuguese enables Galicia to communicate with the nearly 200 million members of the Portuguese-speaking community, and the region also has strong relationships with Latin America thanks to substantial Galician emigration and the resulting historical diaspora. The Vigo Free Trade Consortium is a public institution that has been working to encourage international trade and economic development in Galicia since 1947. From its logistical headquarters in the port of Vigo, the consortium oversees a free trade zone and all of the import and export advantages it affords. As an economic development agency, the consortium not only serves as the main developer of business parks in its area of influence, but also provides companies with a full range of services, including financing through the venture capital company Vigo Activo; entrepreneurial support (seed funding) through business initiative centres and the University of Vigo; and financial information required for decision making through the Ardan business information service. Some 350 companies currently occupy the various parks developed by the consortium. In 2010, the network of parks in Vigo’s free trade zone generated 26.57% of the total wealth of the Vigo Metropolitan Area and 25.56% of all employment in the region. The consortium is currently involved in extending the nearly five million square metres of land in the zone and managing seven business parks in and around Vigo. Over the years, the University of Vigo has established itself as a standard of modernity and innovation in Galicia. Its three campuses in Ourense, Pontevedra, and Vigo offer degree programmes in the fields of science, the humanities, technology, and socio-legal studies. These are distributed across nearly 30 centres where research groups also carry out R&D activities. A network of the institution’s own centres rounds out the University of Vigo’s research infrastructure, which came in 15th in a ranking of Spanish universities based on scientific production. As a modern, audacious, and diverse entity that works in favour of gender equality, the University of Vigo‘s principal assets are its people, a firm commitment to comprehensive training and promoting egalitarian values, and the vocations we place at the service of our society. The Galician Innovation Center in Aerospace (CINAE) is a non-profit private foundation established by the University of Vigo, the Vigo Free Trade Zone, AIRBUS Defence and Space, UDEGA, Delta Vigo and the Galician Aeronautical Consortium. The main goal of the center is to support the growth of local aerospace industry providing R&D services and developing own projects in partnership with companies. Nowadays, the center is working in small satellites and UAV projects developing advanced solutions for commercial and industrial applications. Campus do Mar is a project spearheaded by the University of Vigo and promoted by the three Galician universities, the Spanish Council of Scientific Research (CSIC) and the Spanish Institute of Oceanography (IEO). It therefore brings together socio-economic entities and marine researchers from the Galicia-Northern Portugal region of Europe in order to harness the most potential possible and optimize available resources. By energizing a cross-border network comprised of research, teaching, and technology transfer units, Campus do Mar seeks to develop the best professionals and researchers in the various economic and social aspects of marine science. In doing so, it produces quality research that affects the entire world and provides the industry with the best tools for competing at the global level. 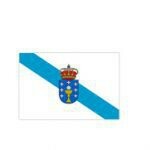 AtlantTIC (the Atlantic Research Centre for Information and Communications Technologies) was created within the Telecommunication Engineering School at the University of Vigo (Spain). The broad experience of its researchers covers a wide range of research areas in the ICT sector, such as digital communications, wireless networks, satellite communications, remote sensing, signal processing, bioengineering, and many others. AtlanTIC is also involved in several national and European R&D projects and industry contracts, which is producing an interesting combination of scientific excellence and a capacity for technology transfer to the market.